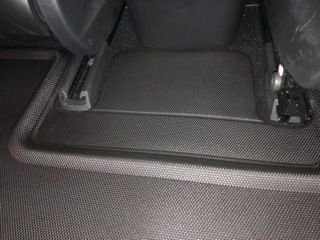 When we had our LEAF, to keep its carpets clean I installed some WeatherTech floor liners that we really liked. 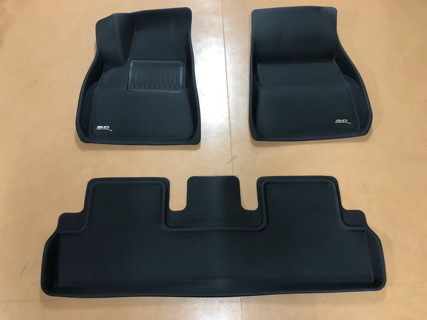 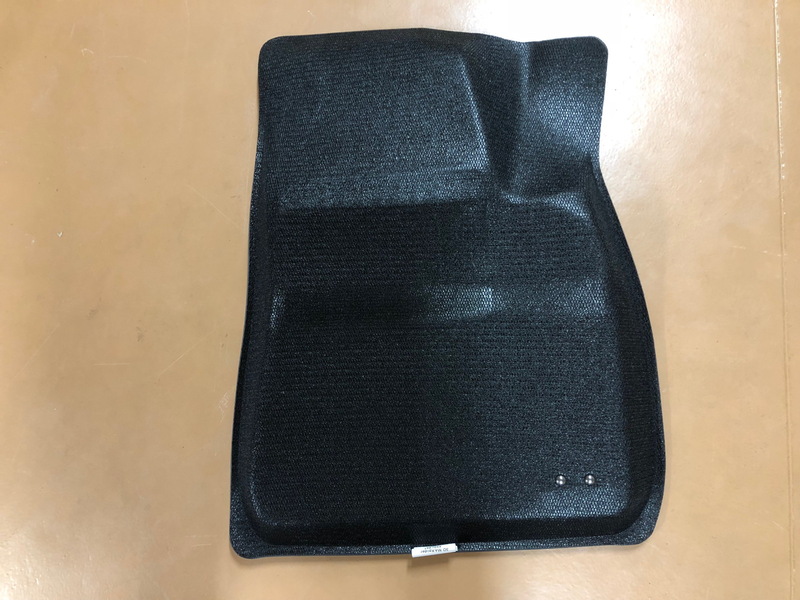 Unfortunately, even though it has been well over a year since Tesla started selling the Model 3, WeatherTech has yet to release versions of their liners to fit it. I put my name on their notification list, but finally gave up waiting, and ordered a set of 3D MAXpider all-weather mats instead. 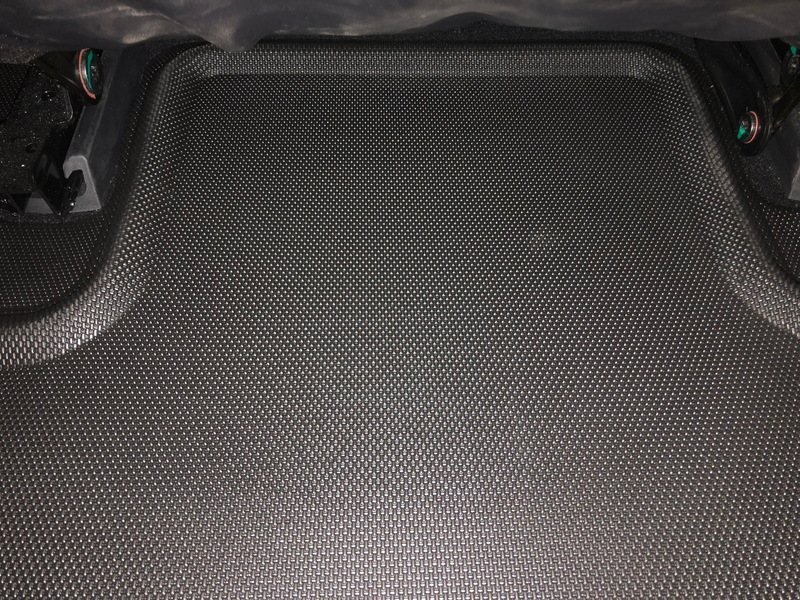 As you can see in the photo up above, they also have similar “lips” around the edges to retain water from rain or snow, but boast a sort of faux “carbon fiber” texture on their surface instead of smooth rubber. Here you can see how the driver side carpeted mat compares with its MAXpider replacement. 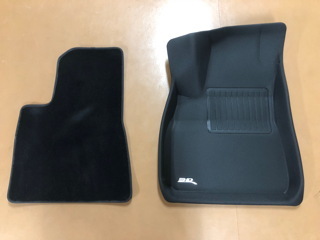 And here you can see the same comparison of the mats on the passenger side. 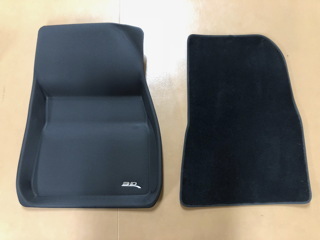 This comparison shows how the rear mat is slightly larger than the carpeted original, and boasts a third section in the middle. To keep the mats from slipping around, the underside is covered with a slightly “sticky” material with tiny fibers protruding, almost like minuscule velcro that adheres to the car’s carpet. It’s difficult to get a full shot of the rear mat, but here you can see it installed. 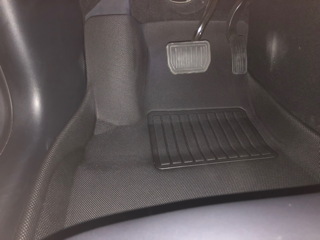 As you can see, the sections on the sides extend farther under the front seats. The middle section likewise reaches all the way to the front console, with a “lip” behind it to help keep water from getting into that area. 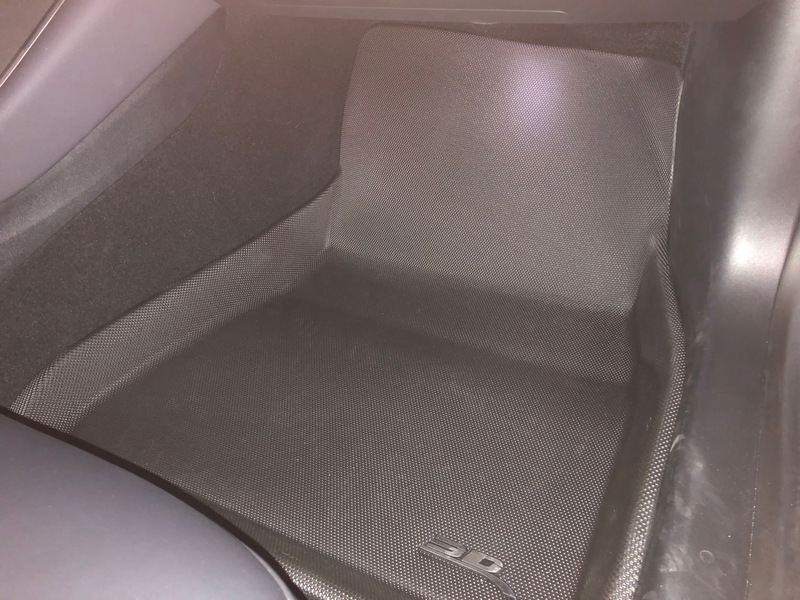 The driver side mat conforms to the Model 3’s contours perfectly. 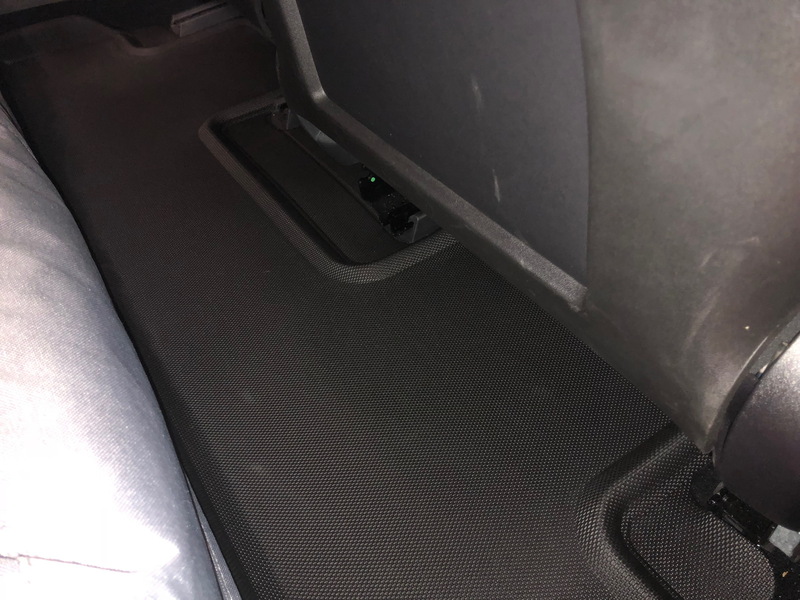 The passenger side does the same. Funny thing: when the box arrived, Tamara exclaimed: “Another accessory for the car...!? !” But when she saw how her mat fits, she was delighted to find that... she now has a place to put her iPad! We think the MAXpiders look great, fit like a glove, and are made of top quality materials. 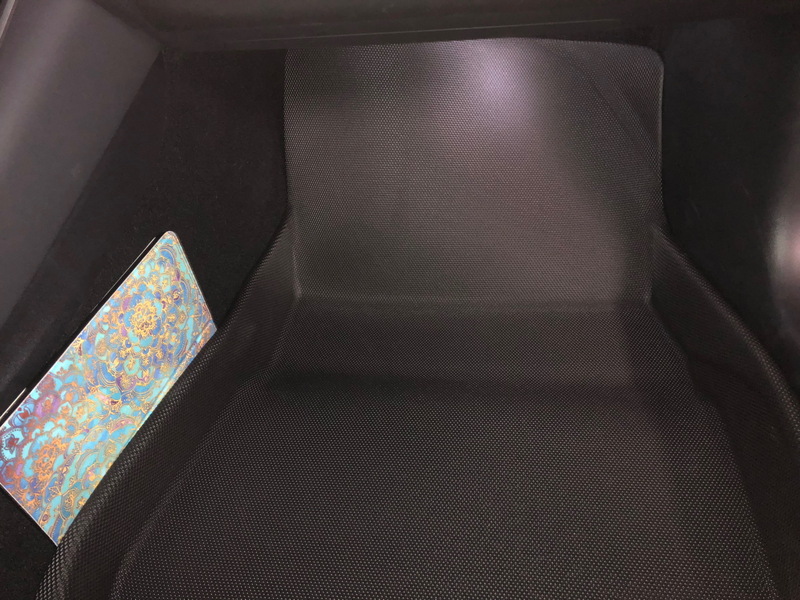 I would venture to say that they are even better than the WeatherTechs we had in our LEAF: they are more cushioned, have a nice textured feel, and fit more snugly. 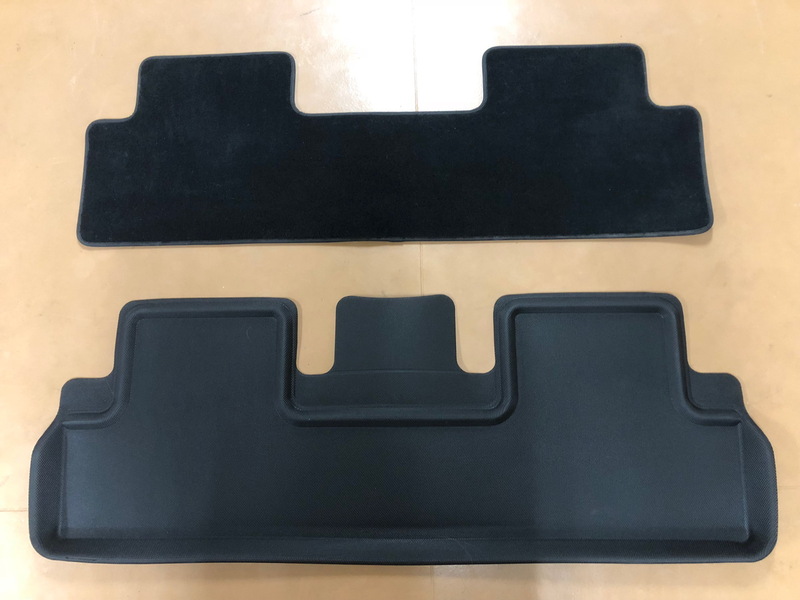 With wetter winter weather on the way, I predict that we’ll be glad to have them.